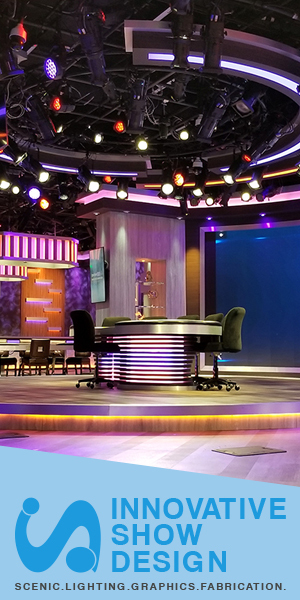 The over-arching challenge was to combine two separate studio environments to create one expansive environment, while maintaining the independent studios for simultaneous broadcast. 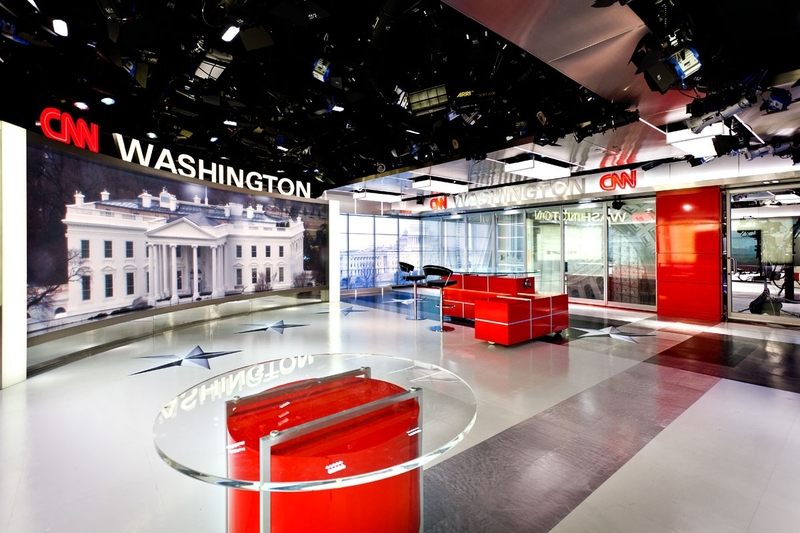 This was accomplished by the installation of a glass curtain wall that could be retracted to create a single large studio, or closed to divide the studio into two distinct studio environments. 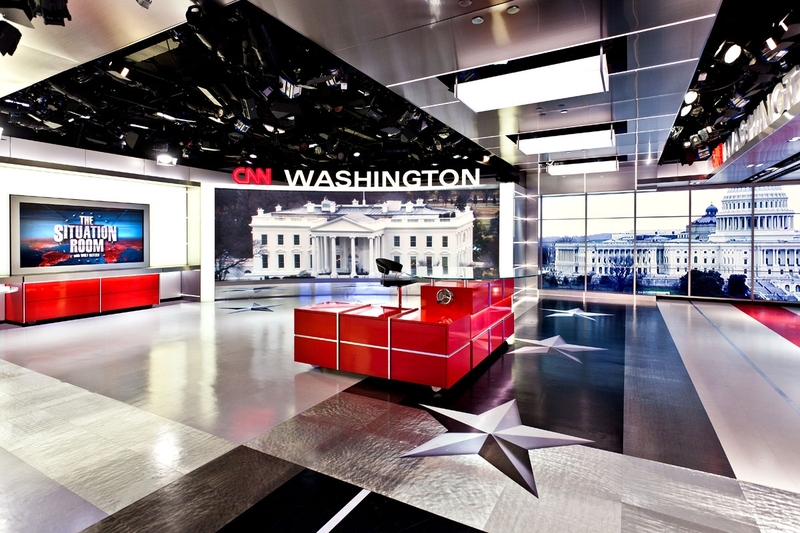 The two studios share a 27-foot long vista wall which uses technology to provide a heroic view of the US Capitol Building. 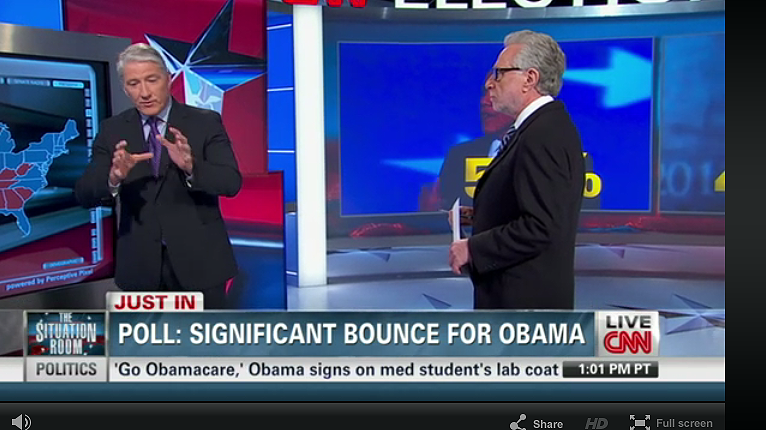 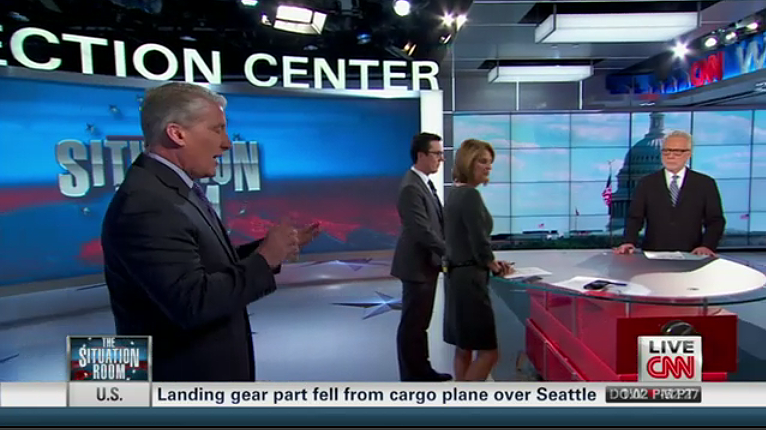 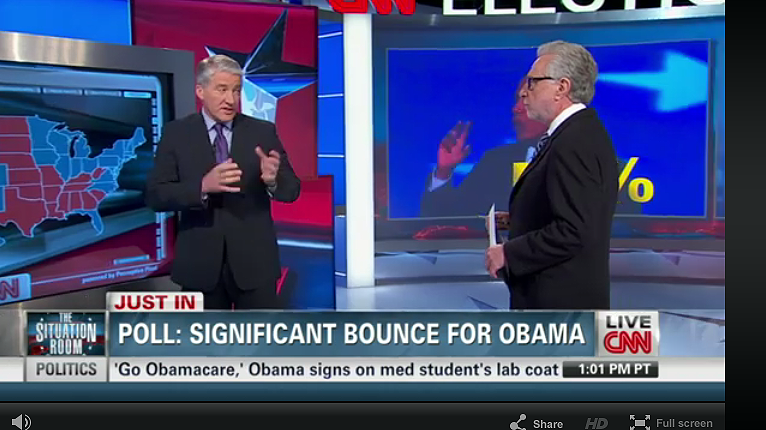 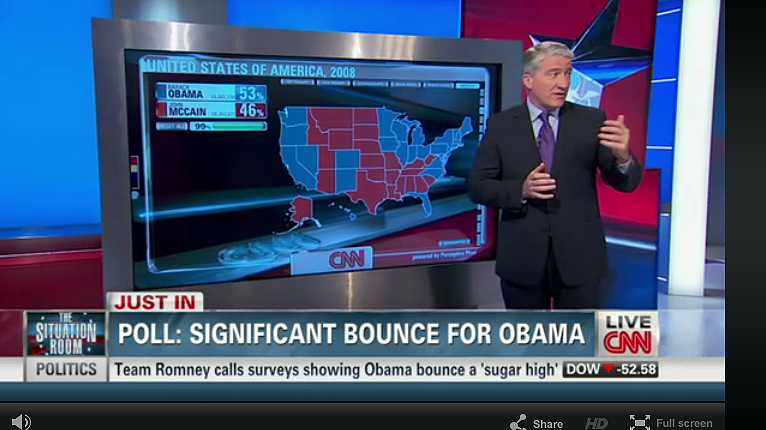 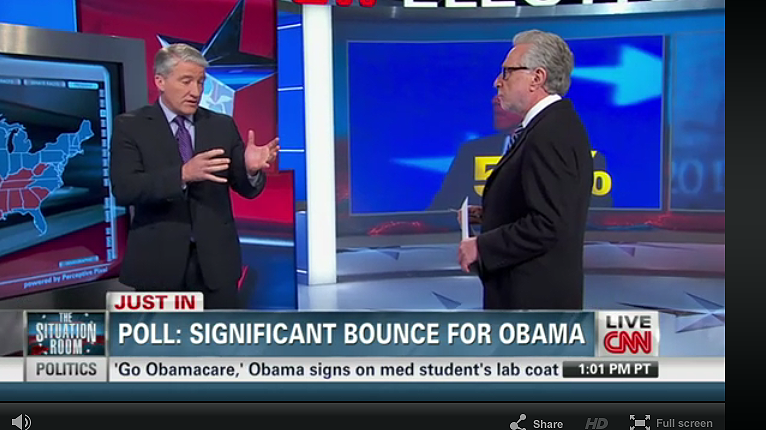 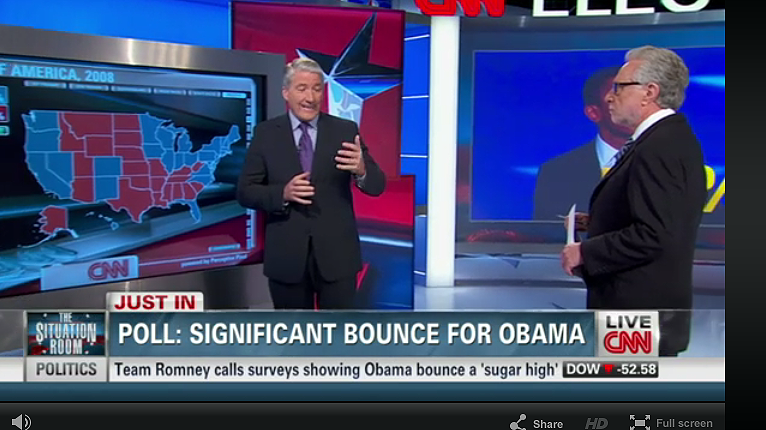 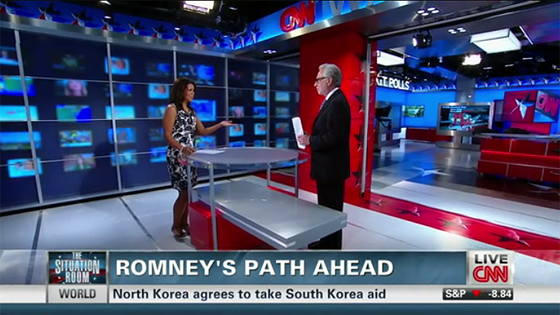 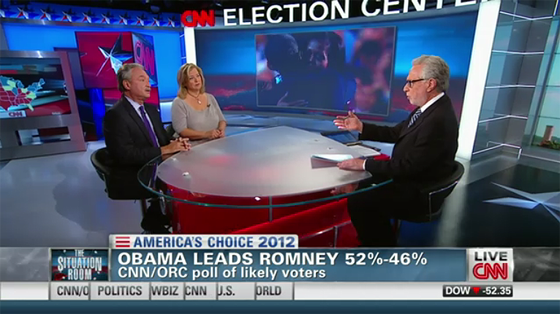 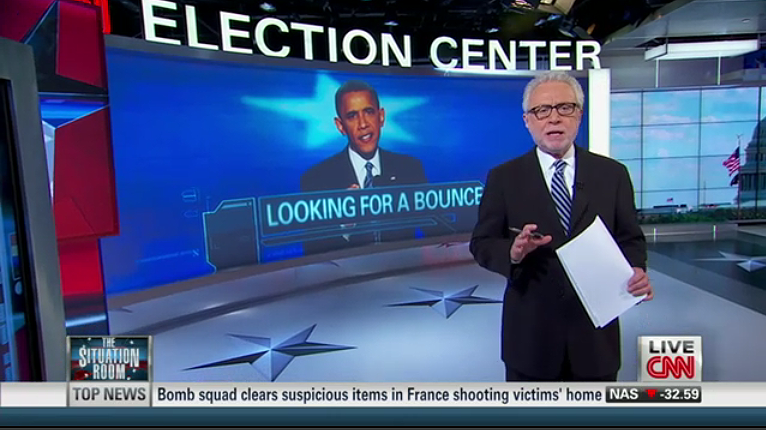 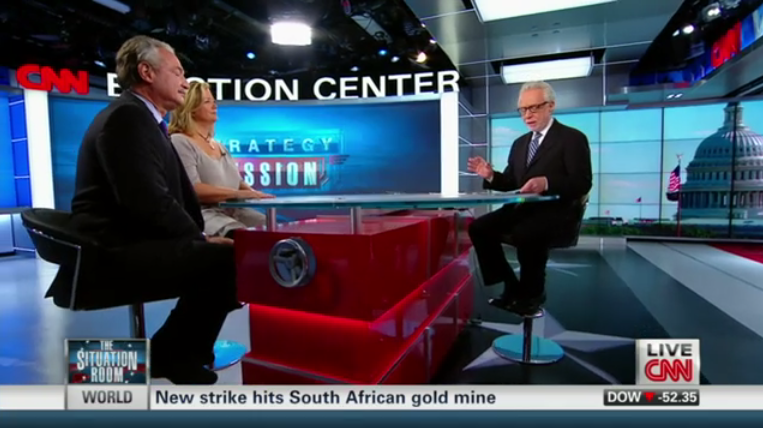 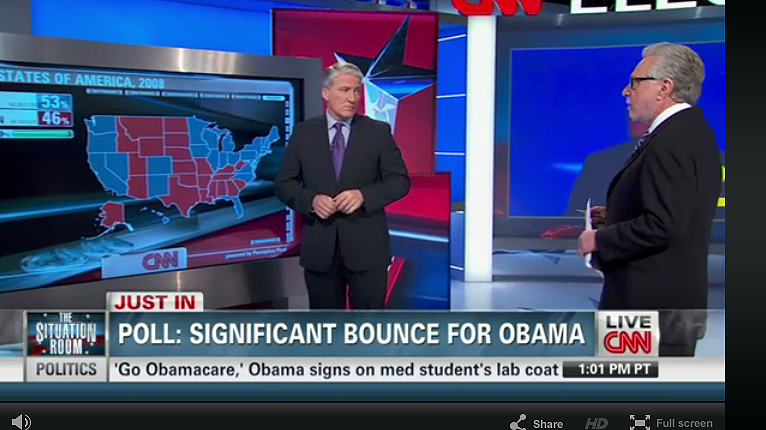 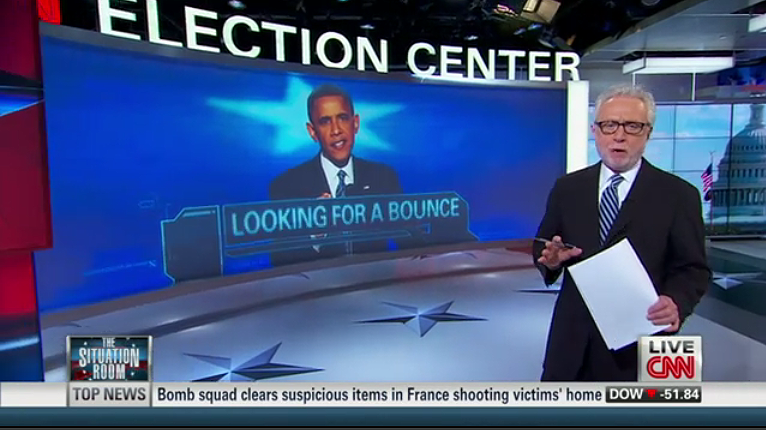 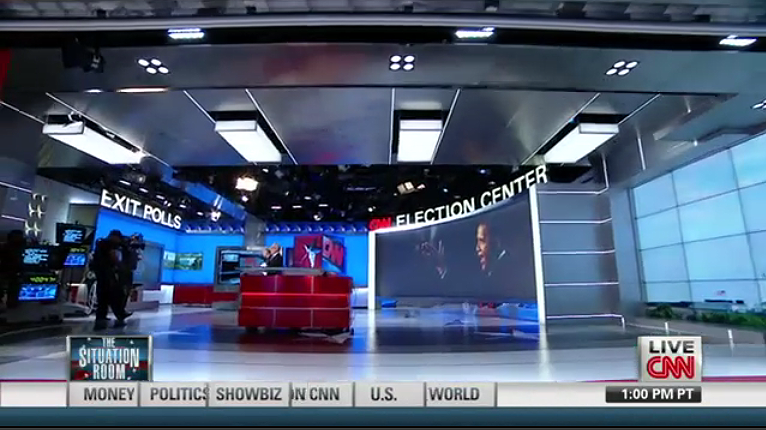 An additional 24-foot vista wall and pivoting 103” monitor provide support for editorial and news content in one studio, while the other features a 22-foot rear-projection screen and a wild 85” monitor. 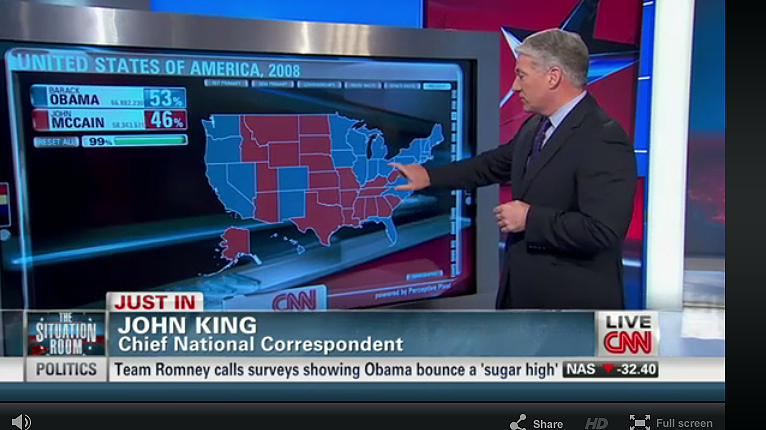 Including Mr. King’s ever-present Perceptive Pixel units, the total HD-monitor count comes to 58. 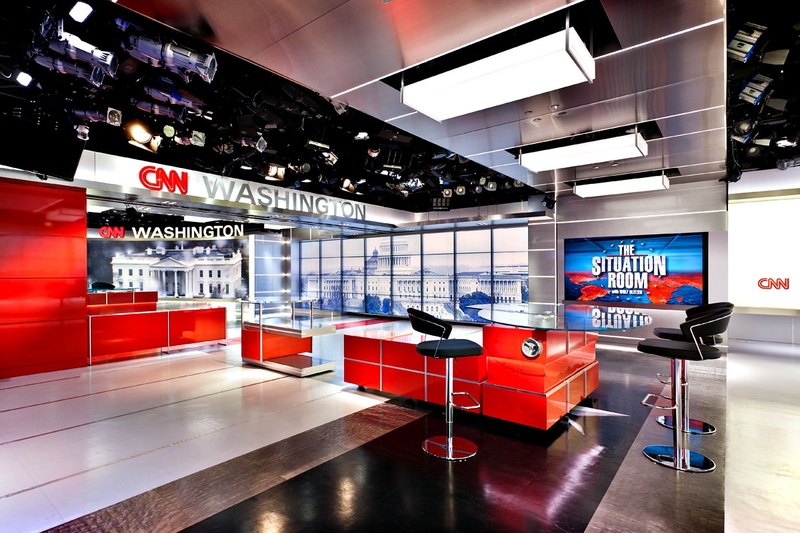 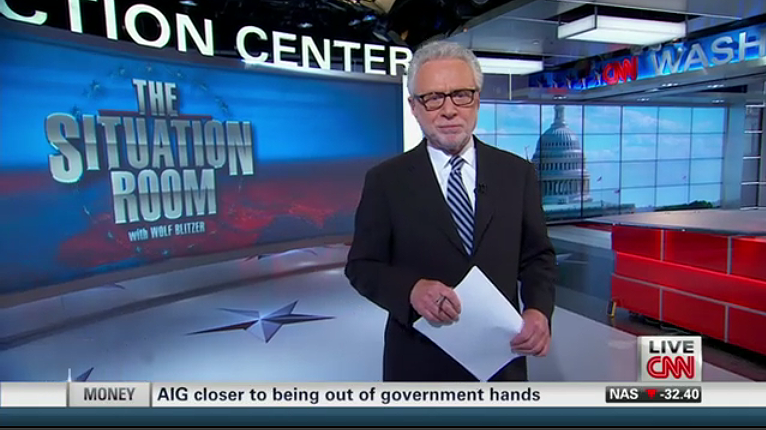 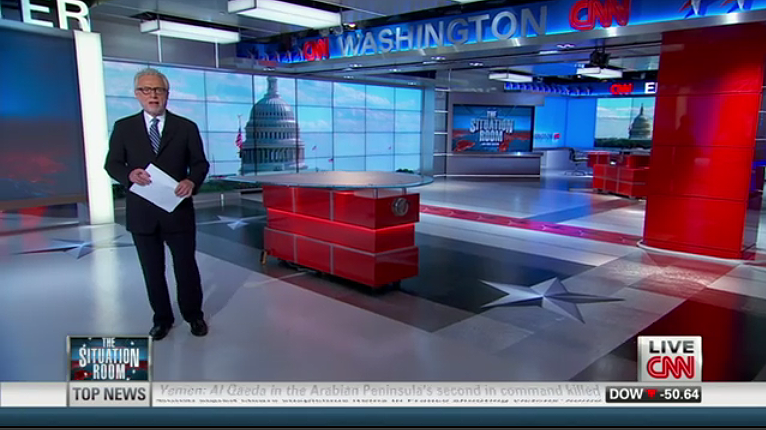 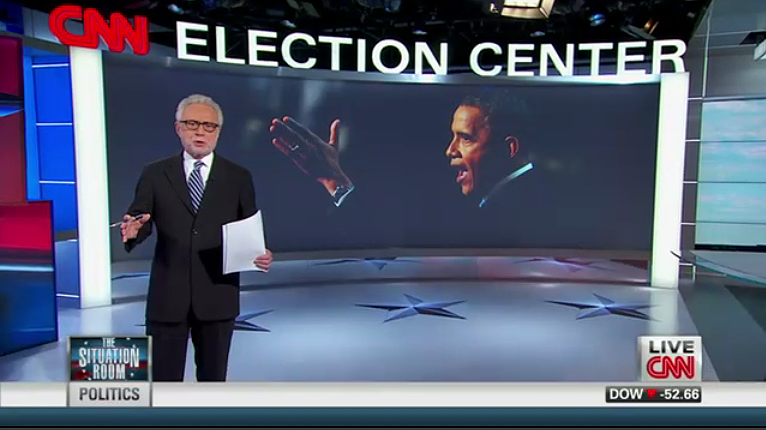 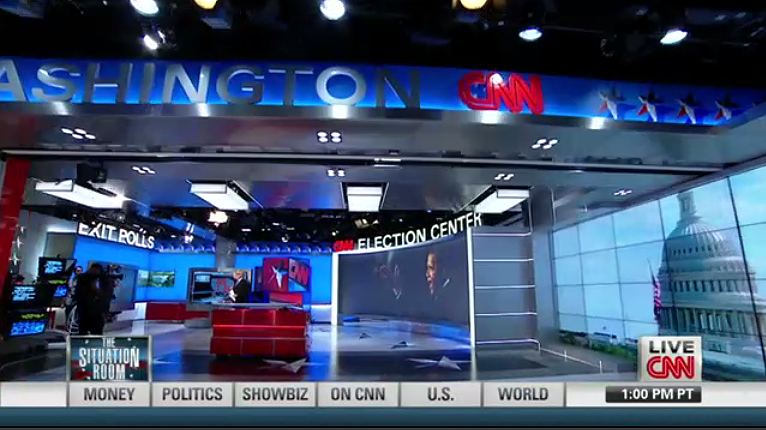 This technology combined with LED lightbox walls and tracery detailing make the CNN DC studios nothing short of state-of-the-art.